Footage from unedited YouTube videos can be very telling. Finding a fantastic SEO keynote speaker is like trying to find Waldo. In an industry where all experts seems to look the same, it is tough to identify that one speaker who will impart truly valuable information to your audience in an entertaining manner. I’ve found that there are 3 types of SEO speakers. There’s the knowledgeable-seeming guy who talks about data a lot. This guy is sort of boring; you leave the session sort of tired, like you must have learned a lot but you’re not sure how you can put any of it into practice. Then there’s the speaker who is likeable and funny. She certainly grabs your attention, but you’re not certain you learned anything new. Finally, there’s the speaker who shares his experience in a direct and inspired way, giving you ideas you’ll take home with you. Seek out an entrepreneur, not a professional speaker. People who keynote for a living are going to be great communicators but may lack a connection to the world that most business owners and marketers – the typical audience of an SEO conference – dwell in. So owning a successful company should be a prerequisite. From that subset of speakers, you now need to find out who are passionate about what they do enough that others enjoy listening to them. 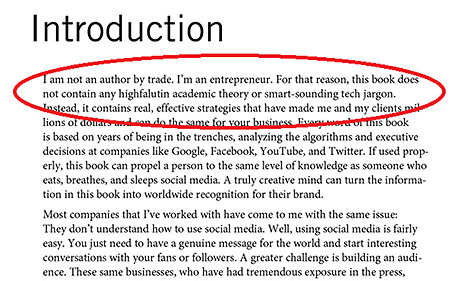 I emphasize my experience as an entrepreneur above my experience as an author in the first sentence of my newest book. I believe entrepreneurial success should be one of the top traits of an SEO keynote speaker. Look for a generosity of spirit. 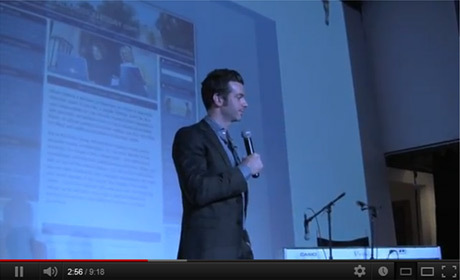 The true mark of a fabulous SEO keynote speaker is that he wants to help people. He’s not speaking to hear himself talk, he’s not intentionally withholding information: he simply loves imparting knowledge. He is like a teacher that would do his job for free if he could because he enjoys seeing his students grow. Watch un-edited videos of the speaker. The lowest-hanging fruit in finding an excellent SEO speaker is locating an unedited video of one of her speeches so you can get a sense of what she is really like when she gets onstage. Start by searching on Youtube. The videos on a speaker’s site will likely be edited; that’s OK, but not as honest as a video that someone else took and posted to the internet. Search for original thinkers. Audiences love to hear things they haven’t heard before, and the SEO industry can be a big echo chamber at times. By looking at blogs and interviews, you can help to parse through speakers for originality. When accompanied by good communication skills and passion, originality is a superb trait for a keynote speaker. I hope this article has been helpful to you! If you need assistance finding a great SEO keynote speaker or have questions about speaking, feel free to e-mail me.